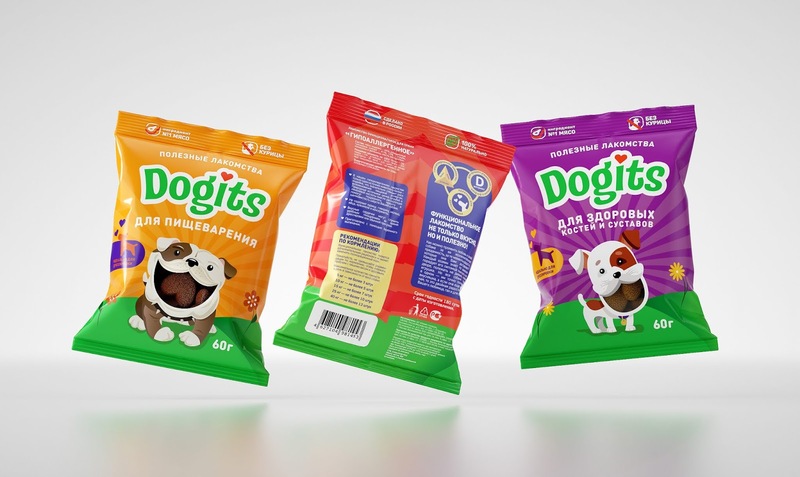 COLORING A DOG LIFE: MiniMe Pets and Clёver Branding help to turn the training process into a fun and tasty game. 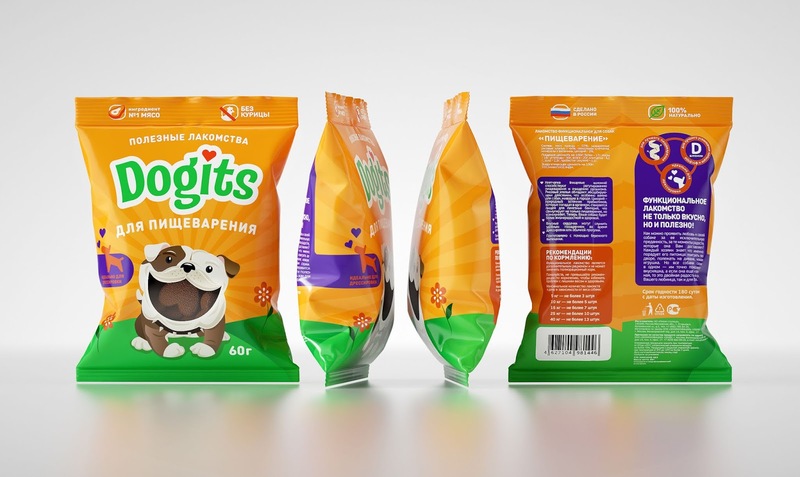 The branding branding agency Clёver Branding refined the brightly colored Dogits dog treats to encourage pets. Russians love pets very much. Studies show that 62% of people surveyed are very friendly towards pets. Dogs are perceived not only as loyal friends, but also as bringing invaluable value to their owners. 93% of respondents say that thanks to pets, they have a positive emotional attitude, and 80% of pet owners are confident that dogs have a positive effect on the physical health of their owners, and can even heal from a number of diseases. It is not surprising that grateful owners of dogs are looking for all new and new delicacies to pay their friends for such care. 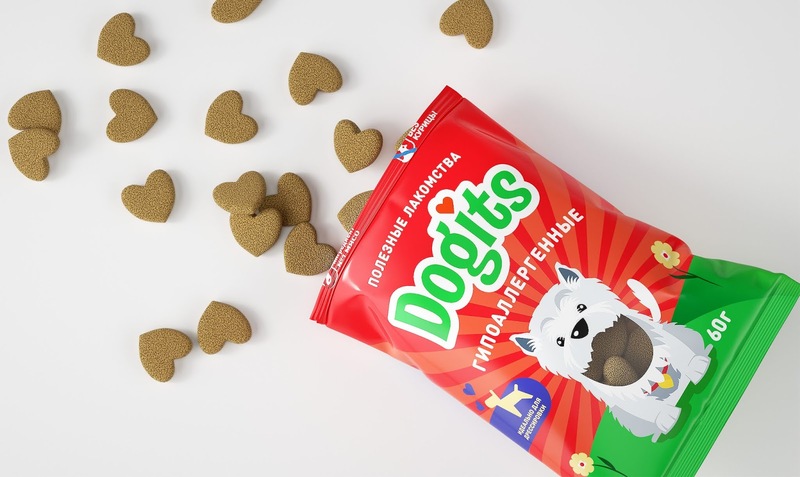 For several years, MiniMe Pets has been developing a unique pet food format Fresh Human Grade - fresh pasteurized food made from raw materials that can be eaten even for people. The company's products under the brand are manufactured even at the Egorievsk sausage-gastronomic factory, using advanced production technologies. 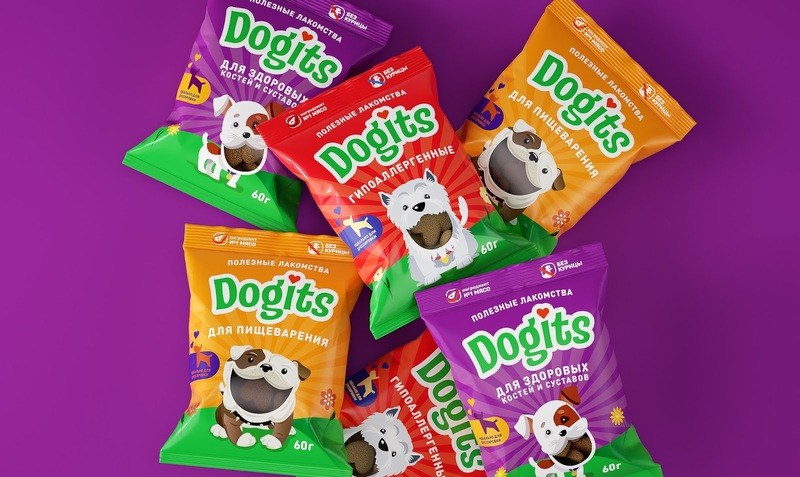 In 2018, marketers of the MiniMe Pets company decided to expand the line of dry delicacies for Dogits dogs so that the owners could diversify the menu of their pets. The development of packaging design for new tastes was entrusted to the Clёver Branding branding agency. 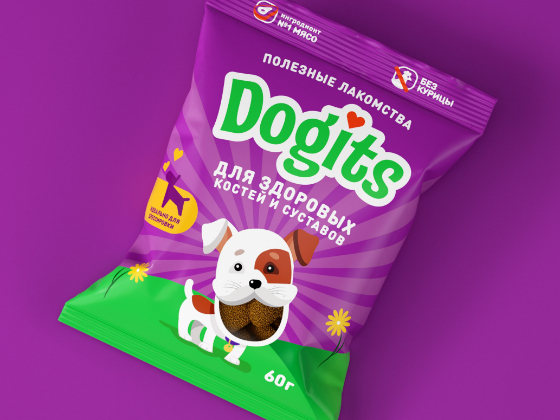 At this point, the brand’s visual identity already existed, but it was necessary to refresh the design of the existing packages and add functional information about the product. Agency designers have finalized a concise solution using bright cheerful colors. Funny, cheerful dogs are also here - they have wide-open mouths awaiting tasty treat. Transparent windows at the place of the open mouth create the impression that the dog has already received a long-awaited delicacy and is incredibly happy about it. Bright sun, grass and flowers - all this underlines the feeling of celebration for your beloved friend. Such packaging stands out favorably on the shelf in a number of other similar products. 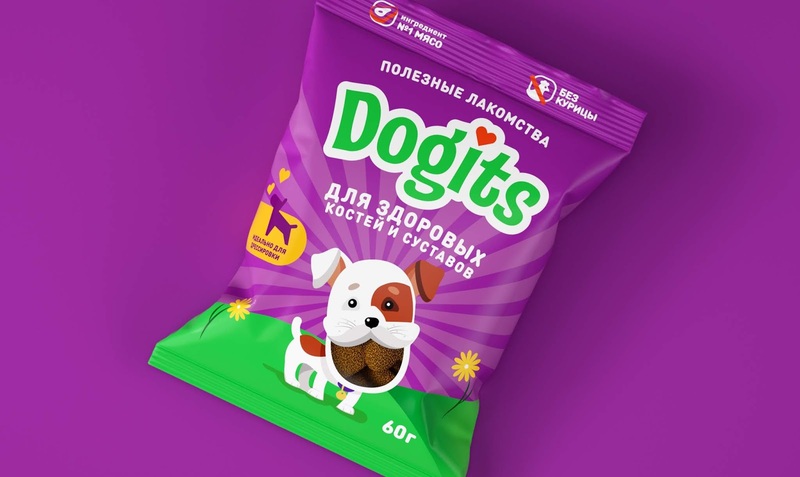 Dogits in new packaging has already gone on sale at pet stores in Russia and is positively rated by Russian consumers.